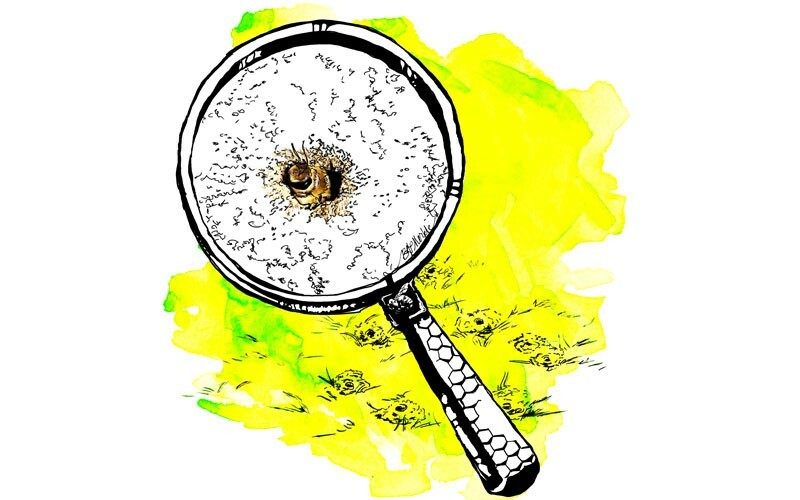 The “Bee Germs” project is focusing on learning more about bees that live underground. 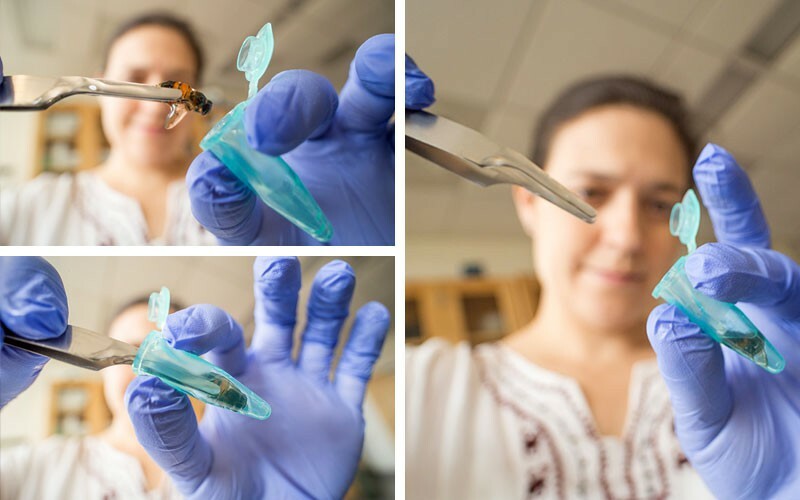 We know very little about bees that make their homes underfoot; by learning more about their germs (or pathogens) we will be able to understand what diseases they are suffering from and, eventually, find ways to help them. Where can I find nests? 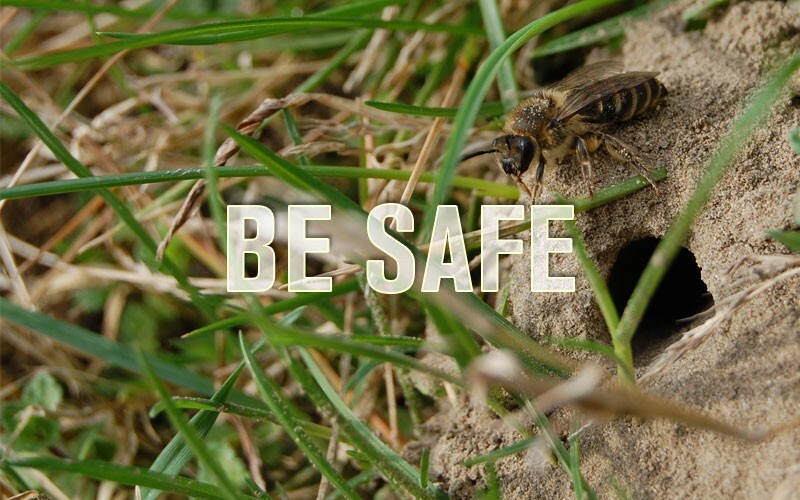 Ground nesting bees can be found everywhere in the US. What diseases do they have? 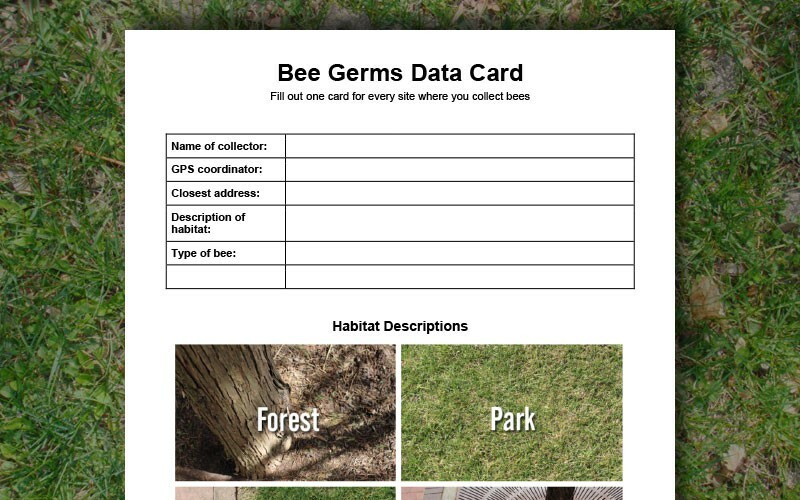 Ready to find and collect some bees? 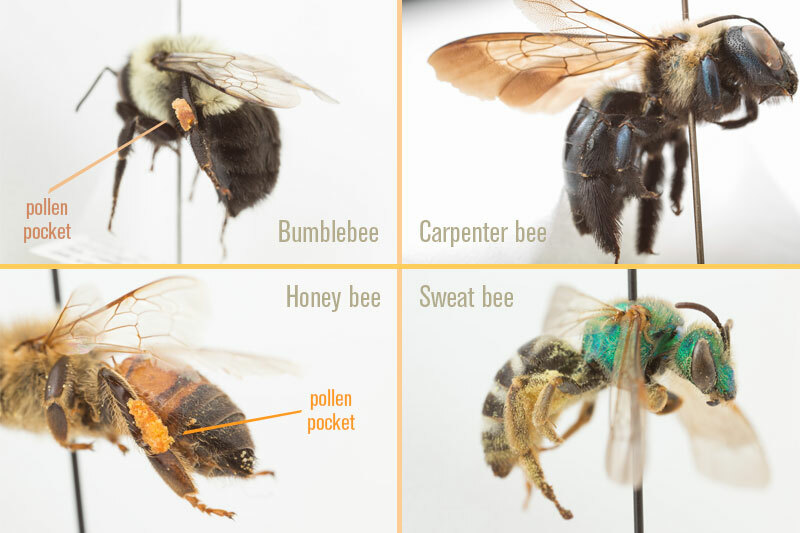 Follow these steps to participate in our efforts to understand more about our native bees. Art by Bethann Merkle. 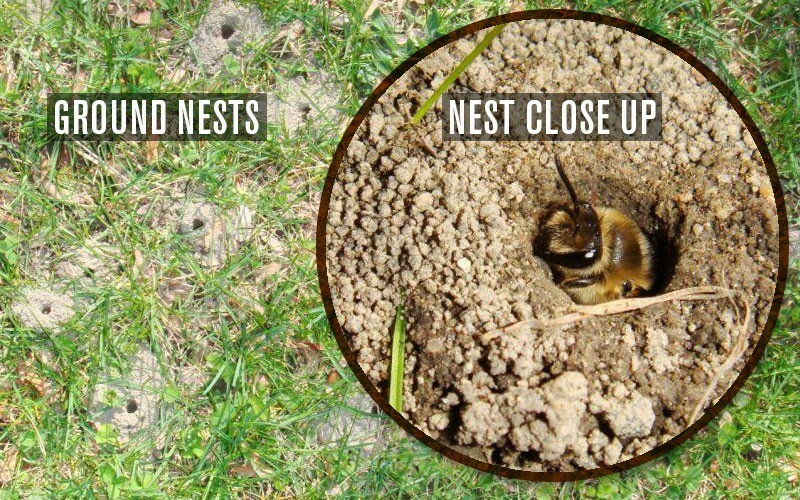 Locate a nest aggregation of ground nesting bees. The nests are obvious above ground because of the conical piles of dirt with a hole in the middle. They are mostly active the first 6 to 8 weeks of the spring. Photos by Margarita López-Uribe. These are all the materials you need for the project! (listed below). Photo by Lauren Nichols. 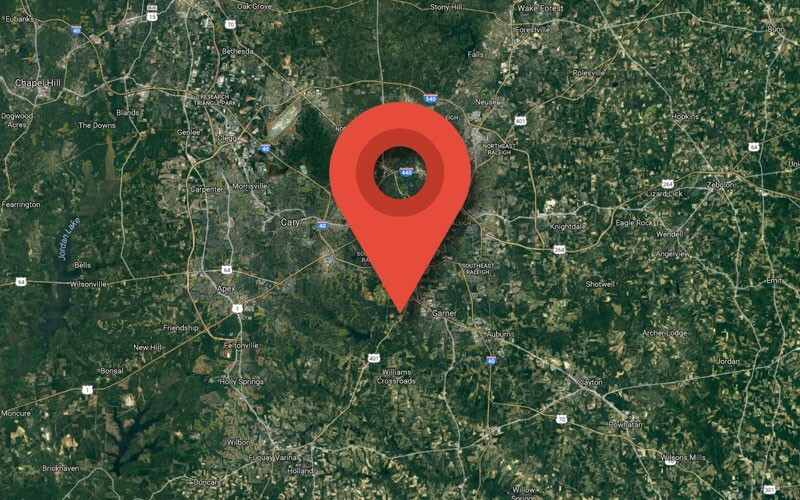 Record GPS location using an app on your smartphone. Now collect some bees! 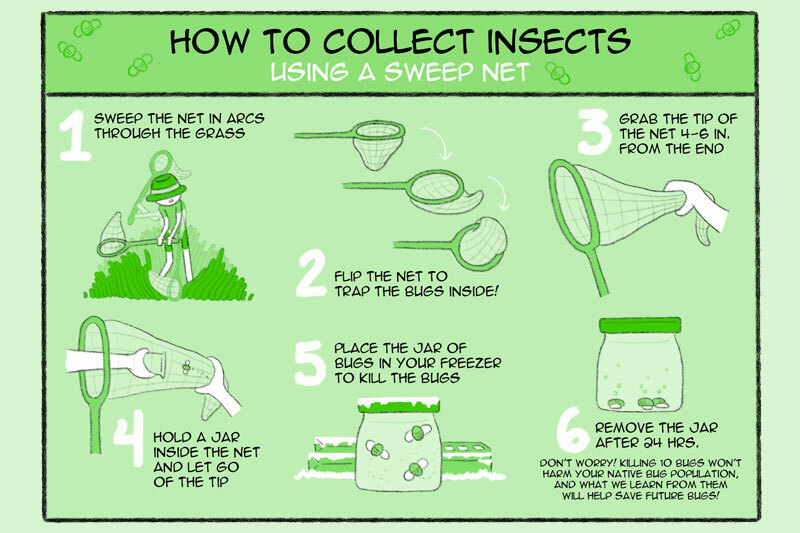 Collect 5-10 bees (more if you’re feeling like an overachiever) individuals using a net. 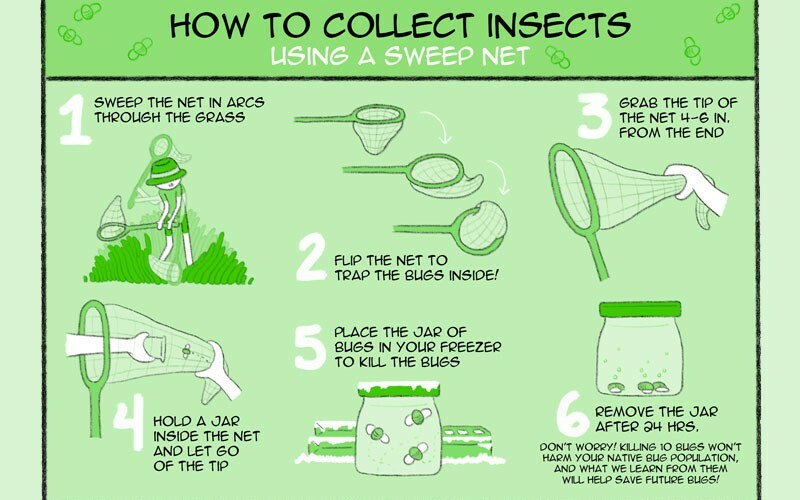 Take a closer look at our Sweep, Net and Flip Visual Guide. For this project, you won't be sweeping through tall grass (step 1). Instead you'll be sweeping your net over bare ground. Keep bees at tip of net, put mason jar inside, bees go in. Lid on outside, slide around. Put jar full of bees in the freezer. You might want to label it, too. Remove after 24 hours. It’s ok to kill a few bees for research. Killing 10 bees isn’t going to harm your native bee population, and what we can learn from them will help save future generations of native bees! Art by Christine Fleming. Exercise caution if you are allergic to bee stings, as females can sting (but only if you REALLY try, they aren’t naturally aggressive). Photo by Steven Morreale. Make some bee-sicles. After collecting, freeze your bees for 24 hours. Then, place all of your popsicled bees in a zip top bag. Photo by Lauren Nichols. Put some hand sanitizer on it. 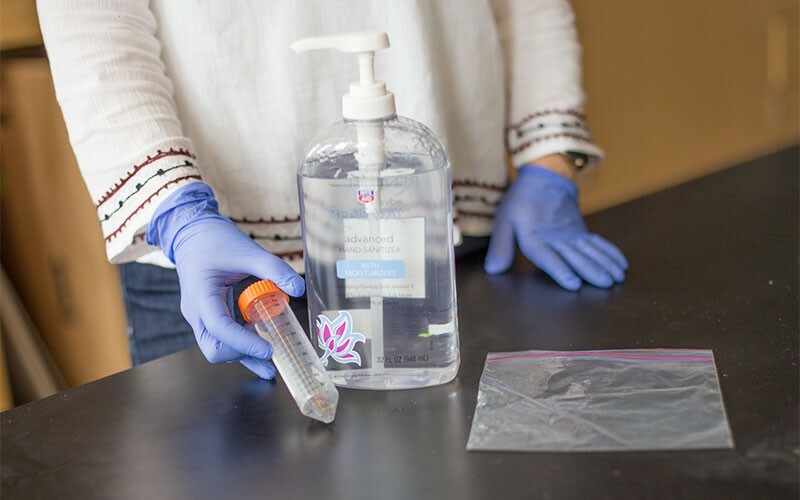 Place individuals in a small ziploc bag and cover with hand sanitizer (Purell with 70% Ethyl Alcohol is preferred) to submerge the bees, less than 2oz should do it. Zip the bag and put it inside of two more bags, trapping some air to provide leak protection and cushion for the trip through the mail. 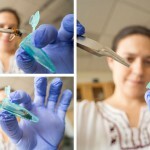 The hand sanitizer won’t make the pathogens go away -- instead it will preserve the DNA of the pathogens on the bees. Photo by Lauren Nichols. Pack them up. Mail them out. 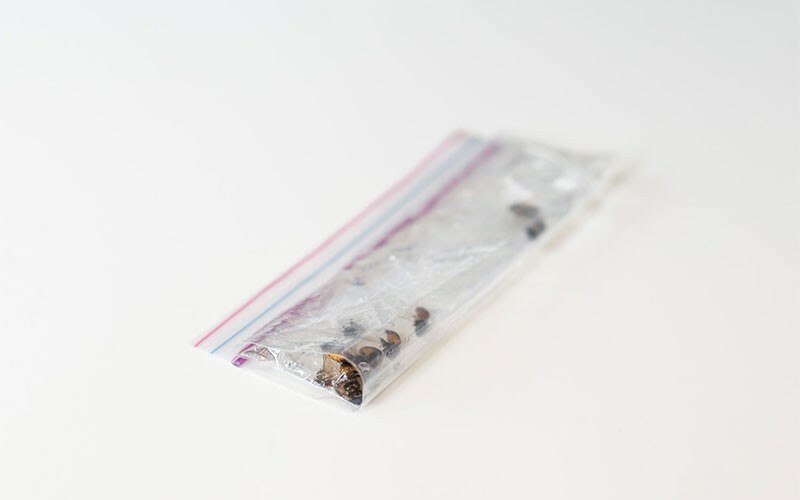 Roll up your bag, place it inside two other zip top bags with a little bit of air trapped (to prevent spills and protect them during shipping). Be sure to include your completed data card with GPS coordinates, place and date of the collection and put it all in a padded envelope and ship to Margarita López-Uribe (shipping address listed below). Photo by Lauren Nichols. Why should we care about this project? European Honeybees (Apis mellifera) get most of the credit for pollinating our crops, but they aren’t the only bees out there doing the work. Historically they’ve been responsible for a large potion of the pollination of our crops, however die-offs (like colony collapses) of the honey bee in North America and Europe have brought attention to the bees we depend on for our food. It’s not just European honey bees doing the work; there have been native and managed (like with a beekeeper in a man-made hive) bees working diligently to pollinate our crops all along. 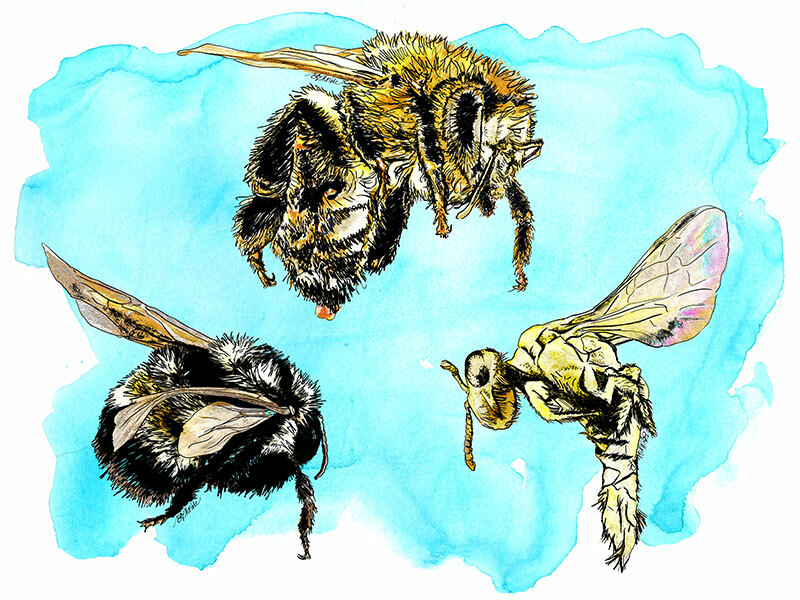 In this lesson plan, you will learn how to find and collect native bee pollinators that are abundant in the springtime. 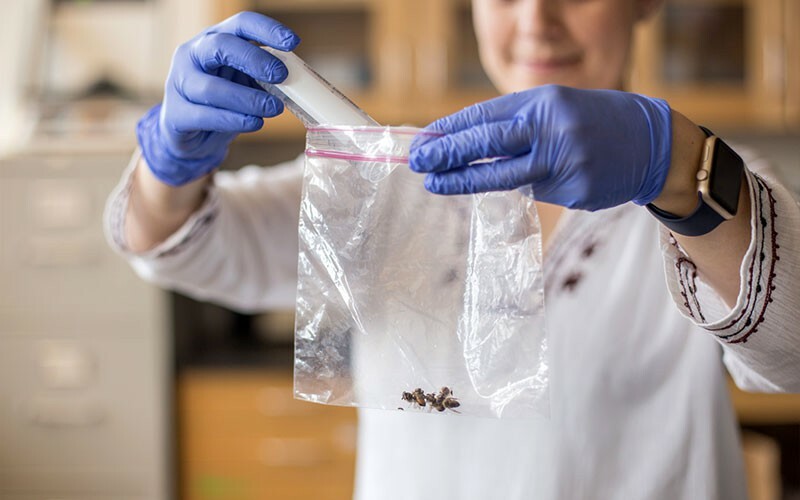 Bees collected with this protocol will be used to quantify pathogens and understand how much diseases are affecting native bee pollinators in North America. Learning about where these bees live and what pathogens they have could help us provide more suitable habitat for them and help them fight off diseases. 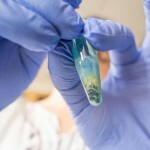 We want them to thrive, after all, so this project helps researchers learn more about the germs they carry with them. Bees are key species for ecosystem function because their roles as pollinators of plants, including most of the fruits and vegetables we eat. There are more than 4,500 species of bees in North America, and over 20,000 around the world. However, the basic biology and diseases of most of these bee species is unknown and we want your help to find out more about them. One of the easiest ways to tell the difference between the two types of pollinators in the US is to look at their pollen pockets. Native bees are bees from the place where they are still found. The common honey bee (Apis mellifera) is the most popular bee for pollinating our food crops in the United States, but she is originally from Europe. 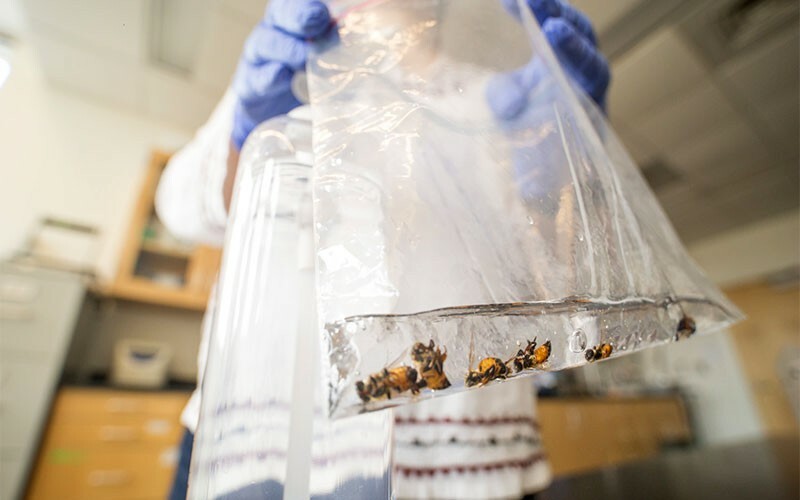 Once the bees arrive safely at Penn State, they will be placed in small plastic centrifuge tubes. Photos by Lauren Nichols. 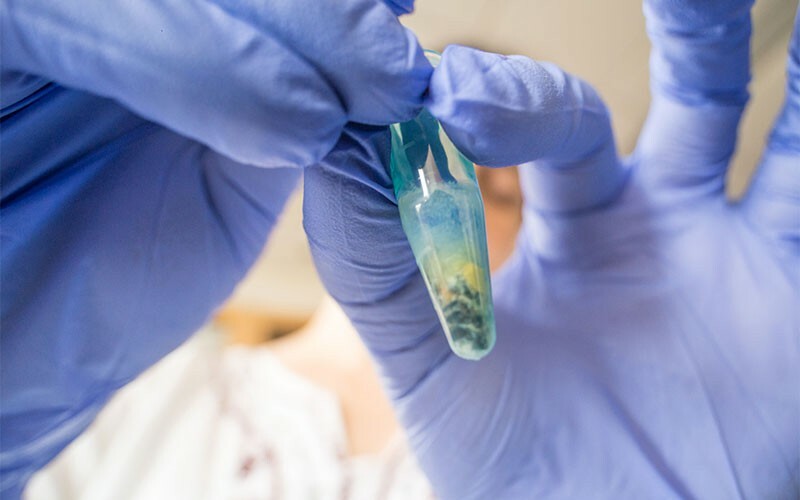 Individual bees will be ground up to extract the DNA of the bee and all the pathogens that live in them. Photo by Lauren Nichols. 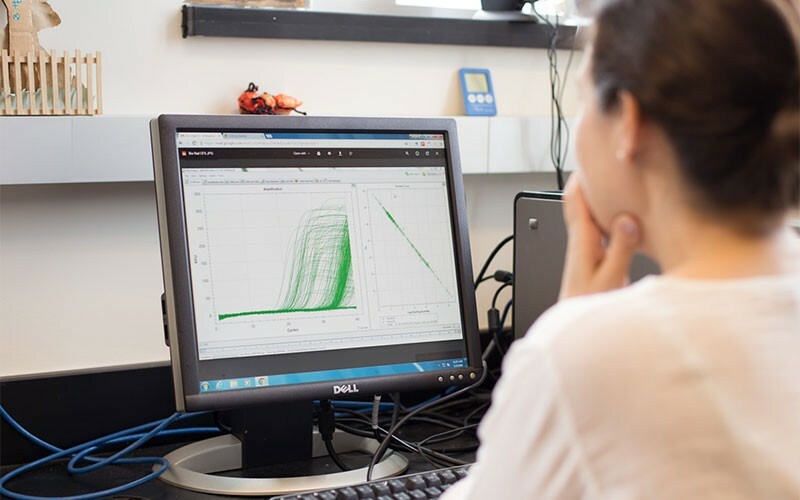 From there, Dr. Margarita López-Uribe can learn about the number of pathogens that live in each by by doing a quantitative PCR (qPCR). Photo by Lauren Nichols. 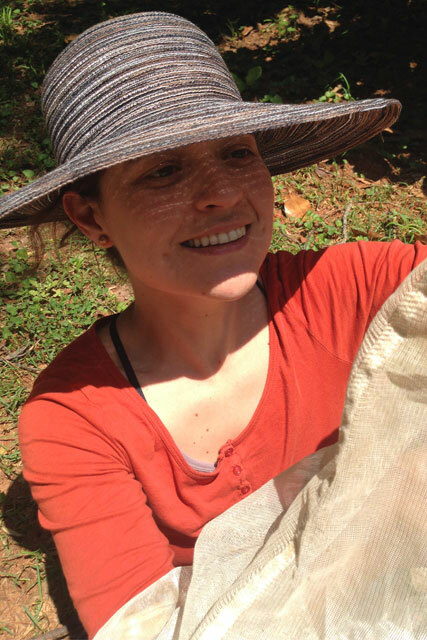 Dr. Margarita López-Uribe is an Assistant Professor in the Department of Entomology at Penn State University. She is interested in understanding how changes in the environment are affecting native bee populations in cities and agricultural areas. In her free time, she enjoys being with her family, and spending time outside where she and her kids can appreciate nature. Follow Margarita on Twitter. 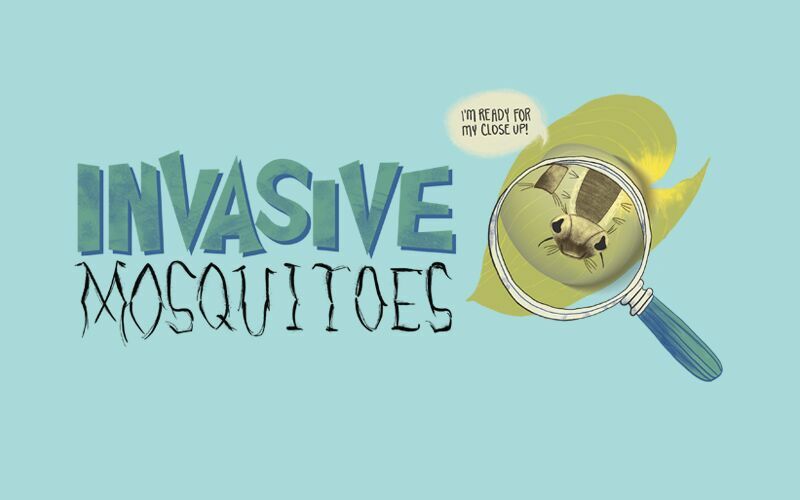 Students Discover SciArt is created by Buzz Hoot Roar, the amazing team that brings science to life in their graphics-driven science blog. Bethann Merkle is an award-winning artist/communicator fascinated with science and sustainability. 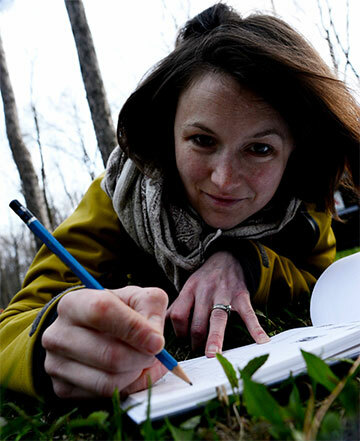 Bethann focuses on illustrations that don’t obscure how ecosystems work and editorial projects that connect readers’ everyday lives to the natural world. She is particularly passionate about teaching researchers, teachers, and the public how to incorporate drawing into work and lifestyle. 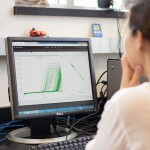 Construct an explanation that predicts patterns of interactions among organisms across multiple ecosystems. Similarly, predatory interactions may reduce the number of organisms or eliminate whole populations of organisms. Mutually beneficial interactions, in contrast, may become so interdependent that each organism requires the other for survival. Although the species involved in these competitive, predatory, and mutually beneficial interactions vary across ecosystems, the patterns of interactions of organisms with their environments, both living and nonliving, are shared.